Polished chrome vanadium shafts and soft grip handles. 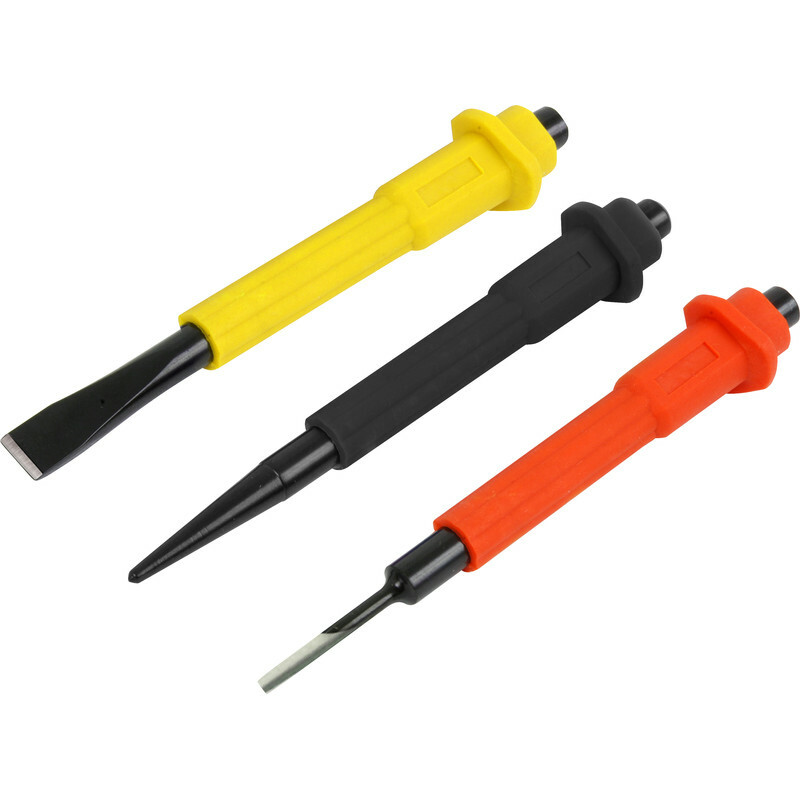 3 piece set contains: 10mm chisel, 3mm pin punch and 3mm centre punch. Punch & Chisel Set is rated 4.5 out of 5 by 10. Rated 5 out of 5 by DIY Paul from Does the Job a nice 3 piece set , plastic handles make them easy to hold and the different colours make them easy to find in the tool box. Rated 5 out of 5 by Rich46 from Set of three. These are great value for the money, they all do the job they are designed for. Rated 5 out of 5 by Lipseal from Great value Have only used the punch for 6 ceramic bathroom wall tiles. Did the job well.. Great value for the set. Rated 5 out of 5 by Scruffy from Value for money Bought these to knock stubborn Old Decking screws out.